Following concerns over earlier withdrawal of US forces from Afghanistan, while stressing on forces pullout, President Donald Trump reiterated that a part of our forces would stay in Afghanistan to oversee the country’s situation. During an interview with CBS TV channel, President Trump said we should get rid of this unfinished war and return our forces to home, adding it doesn’t mean we won’t overses Afghanistan with our intelligence means, but we would do that and would carefully do. Earlier, US President has said if peace talks don’t reach any result, he would withdraw his forces from Afghanistan. The government of Afghanistan has declared that withdrawal of a part of US forces wouldn’t affect bilateral relations. Currently, 15000 US forces are stationed in Afghanistan. 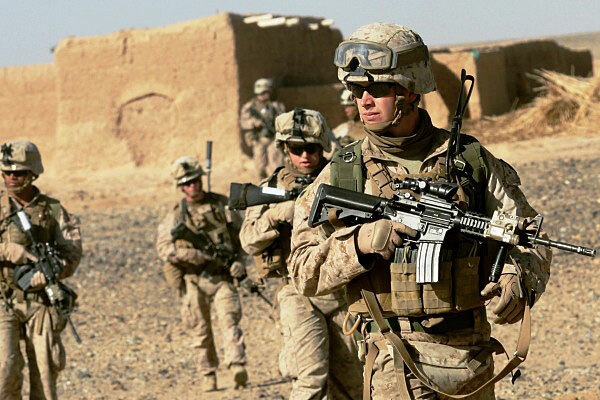 The US forces are mostly engaged in training and advising of the Afghan National Defense and Security Forces and they get involved in some operations to suppress the terrorists. At the same time, Chief Executive Office told media that US forces presence and their continued cooperation with Afghanistan is among the serious issues inside and outside the country. Chief Executive Dr. Abdullah Abdullah said withdrawal of US forces from Afghanistan didn’t mean that relations between the two countries would cut, but the Afghans should get readines to stand on their own feet. He stressed that the Afghan National Defense and Security Forces are lonely fighting terrorists in most parts of the country. Expressing concern on US forces withdrawal from Afghanistan, the upper house of the parliament says that a bilateral security agreement has been signed between Afghanistan and US and no decision should be taken by one side only. US intelligence officials have recently stressed that presence of al-Qaeda and Daesh in Afghanistan is a threat to US security and the US forces should stay in this country. A number of military experts believe that the US president’s decision is related to upcoming US presidential elections, adding the move would follow with dangerous impacts. A number of political experts say that continued US military mission can help prevent collapse of some parts in Afghanistan, adding based on Kabul-Washington strategic agreements, President Ghani has the right to share such issues with the US.